This article is cross-posted from the Wall Street Journal. Read the original article here. Brussels has long been a destination of choice for those illegally trafficking antiquities—a category that potentially includes the funders of terrorism that has taken lives throughout the West in recent months. Belgium brings together all the elements that allow this illicit trade to flourish: lax laws and enforcement for art crimes, a location with easy access to the rest of the world, and a ready market. The Belgian capital is also a known transit point for looted art. In 2009, an undercover report by LinkTV exposed that Taliban-looted masterpieces were widely available for sale in the Brussels’ galleries, fresh with dirt from Afghanistan and Pakistan. The European Union’s de facto capital is also home to terror cells dependent on criminal activity to fund violence. The municipality of Molenbeek, where terrorists planned the 2015 Paris attacks, is a hub for this illegal trafficking. Today its homegrown extremists have direct access to an unprecedented supply of plundered artifacts from Iraq and Syria. The United Nations Security Council reported in February 2015 that plundered heritage from the Middle East forms a critical revenue source for Islamic State, Nusra Front, and al Qaeda. Meantime, the U.S. government says that Islamic State alone has earned millions hawking looted relics. A May 2015 U.S. Special Forces raid targeting a senior Islamic State leader in eastern Syria uncovered receipts for antiquities transactions worth $1.3 million for only a three-month period. Nearly a third of jihadist cells operating in Europe make money through various illicit trades, including document forgery and weapons trafficking, according to a 2015 report from the Norwegian Defense Research Establishment. Compared with other forms of trafficking, the antiquities trade is particularly attractive, as it carries a low risk of detection with potential for high profits. Given the millions of archaeological sites across the Middle East and North Africa, the supply of ancient artifacts is virtually limitless. Until the conflicts in Iraq and Syria end, little can be done to fight this illicit trade from the supply side. Yet simple reforms can stem the demand for such products. Belgian law enforcement today is poorly prepared to combat the illicit trade in antiquities. In April, the federal police disbanded its art and antiquities division due to budgetary concerns. Interior Minister Jan Jambon wrote in a letter, published in April, that such crime was “not considered a priority.” Belgium’s neighbors disagree: Due to the influx of antiquities from the Middle East, France and the Netherlands have recently strengthened their own art squads. Poland and Romania have created new ones. Belgium also has lax cultural-property laws, even as Germany and the U.K. have strengthened theirs. Terrorism is a relatively inexpensive endeavor. The November attacks in Paris cost $10,000 to implement, two counterterrorism officials estimated. 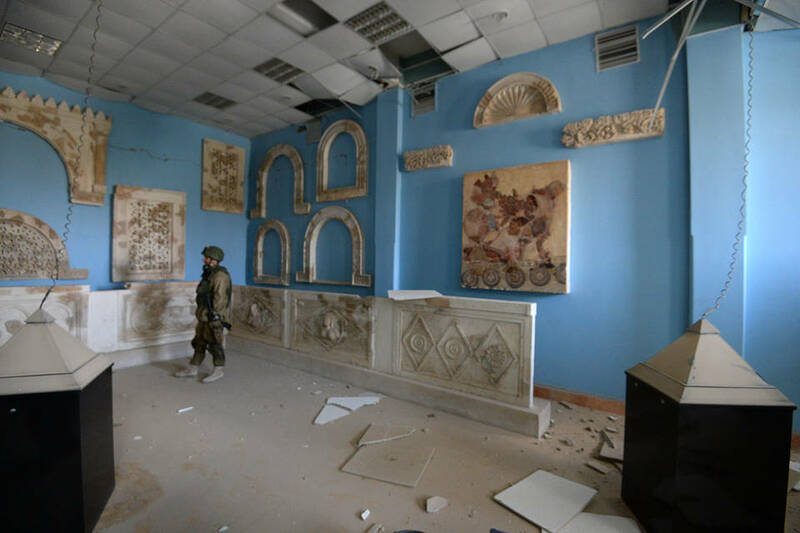 When Iraqi or Syrian antiquities, potentially from illicit sources, sell for millions at major auction houses in Western capitals, it only takes the sale of a few Syrian mosaics stolen from Palmyra to fund several terrorist attacks. Belgium should follow the example of its EU partners by cracking down on illicit trades and strengthening laws against peddling in antiquities stolen from conflict zones. The EU capital should be setting the standard, not lagging behind. If the Belgian government fails to take action, much more than cultural heritage will be at stake.